Posted on January 3, 2019 | 44664 views | Topic : Featured, News & Articles, Property News. GOOD news for developers and the property market: the majority of the 3,000 respondents in the latest StarProperty.my Buyers’ Sentiment Survey are keen to make a purchase in 2019. At the same time, they show a reluctance to rent properties for the long term. 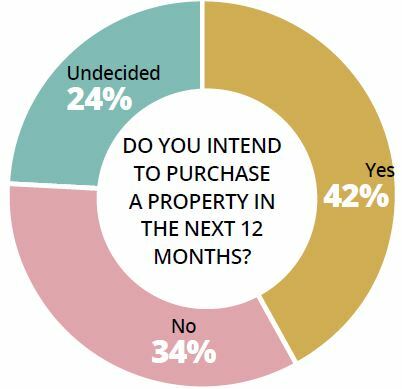 On the question of buying property in the next 12 months, 42% of the respondents answered yes. While 34% are not thinking of buying now, 24% are undecided — making them potential buyers. These numbers represent an about turn from last year’s survey results where respondents were uncertain and confused about their property decisions. The certainty shown in this year’s survey reflects the optimism in the market. 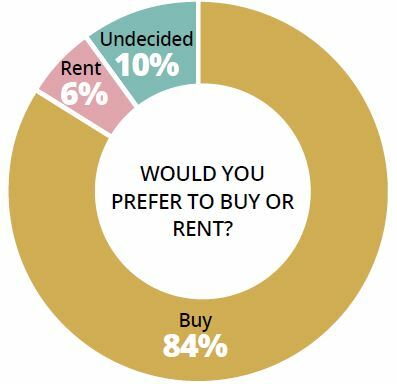 Another point of interest to developers is the response to the question: Would you prefer to buy or rent? 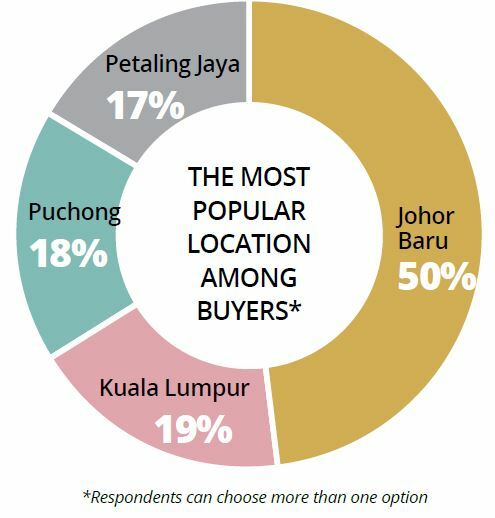 A whopping 84% chose buying over renting, indicating the reluctance of Malaysians to rent properties for long periods. 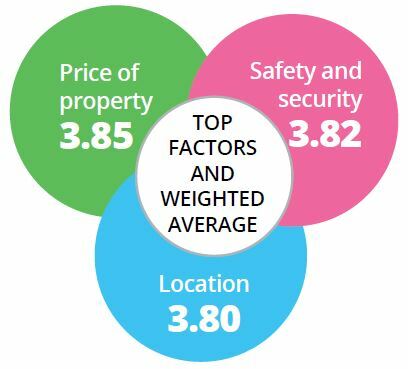 The findings of the survey also reveal that the price of property (with a weighted average of 3.85) tops the list of factors that influence buyers, followed closely by safety and security (3.82) with location (3.80) in third spot. Interestingly, two of the three top factors have shuffled positions compared to last year. In 2018, price remained the No.1 factor but respondents chose location over safety and security. 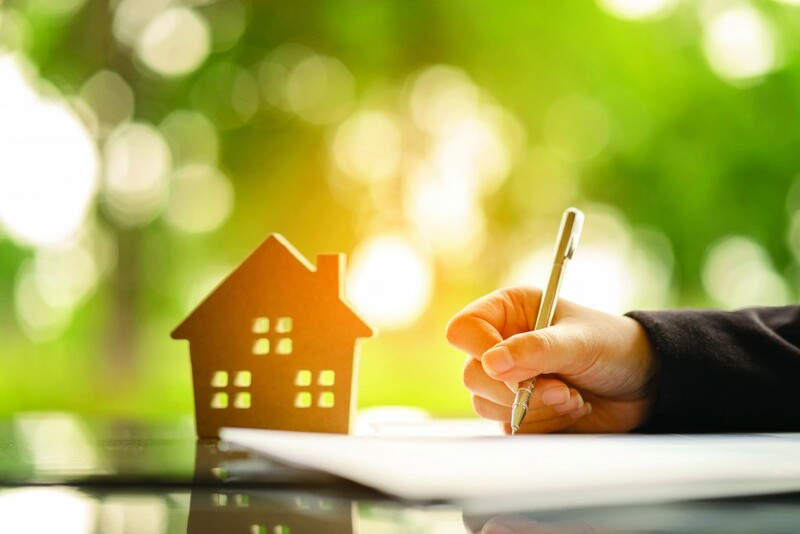 Other factors that markedly influence buyers’ decisions are developer reputation, connectivity and accessibility, potential rental yield, potential capital appreciation and distance from hazardous elements such as overhead power lines, busy roads, and sewage treatment ponds. 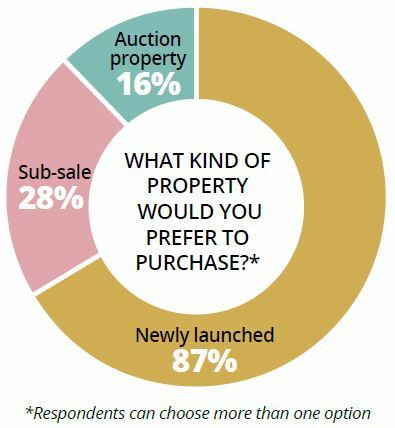 Respondents show a high preference (87%) for newly-launched houses over sub-sale properties (28%). Of late, developers have been launching projects that come with attractive packages such as low down-payment, absorbed lawyer fees, and built-in furniture and fittings – which contribute to the appeal for new properties. On the other hand, auction properties did not fare well with respondents. Recording a mere 16% interest shows that the stigma associated with auction properties is still clouding opinions and judgments of buyers. 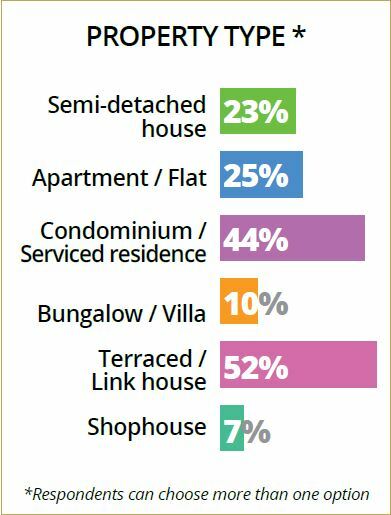 Of the different types of property available, respondents highly favoured terraced/ link houses (52%) compared to condominium/ serviced apartments (44%), apartment/flat (25%), semi-detached house (23%), bungalow/villa (10%), and shophouse (7%). As for affordability, properties in the range of RM300,000 to RM500,000 are most favoured by the majority of respondents. The next range is RM500,001 to RM700,000 and only 5% of respondents are looking for properties costing more than RM900,000. Affordable housing projects by private developers are often in the RM300,000 – RM500,000 range which falls within the budget of the majority of respondents for 2019. An aspect that often gets sidetracked when it comes to preference is property size. To cater to affordability, the size of new developments is often significantly reduced. 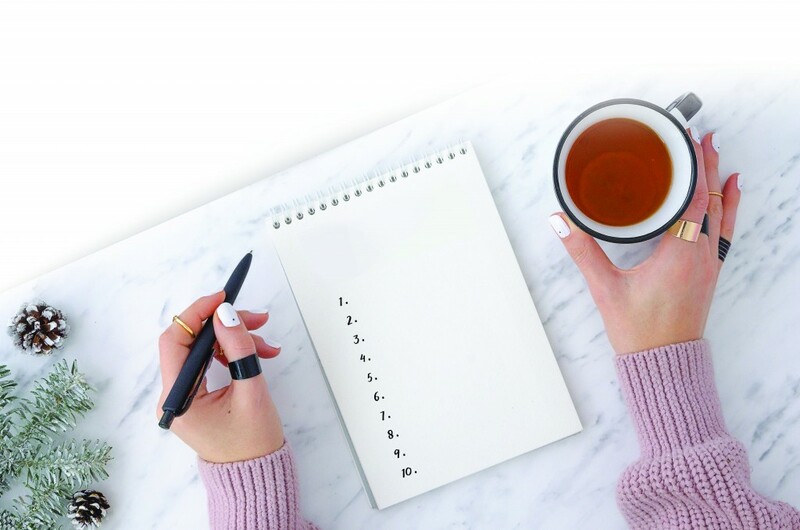 In the 2019 Buyers’ Sentiment Survey, most of the respondents chose 1,000sf-1,499sf as the ideal property size for a quality daily life. 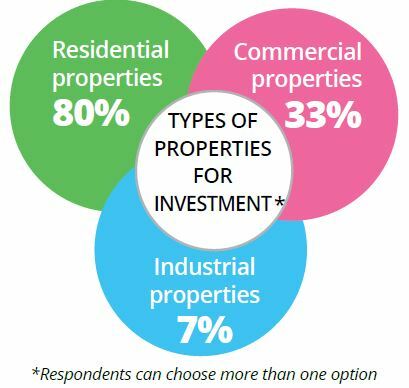 Investors who made up 31% of the total respondents showed an interest in residential properties (80%) in 2019, followed by commercial properties (33%) and industrial properties (7%). The investment location that tops the list is Johor Baru (48%), beating Kuala Lumpur (31%) with Puchong and Petaling Jaya recording 18%. Other favourite investment locations include Cheras, Penang Island and Shah Alam. 44% of respondents feel that the interest rates for housing loans are quite high. The acceptable distance from home to the workplace is less than 15km. 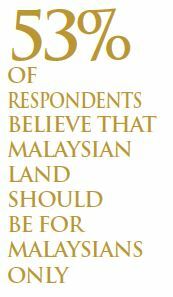 53% of respondents believe that Malaysian land should be for locals only. 43% of respondents support multigenerational loans, 40% are against while 17% are undecided. 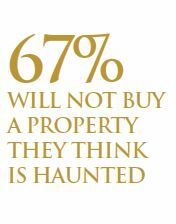 64% of respondents strongly believe that there is an oversupply in the local property market. To get the full report of Buyers’ Sentiment Survey 2019, fill in the form here.